cedar, purchase wet leaves and other fragrances of fall, and then settle down to chat with this woman of many talents. 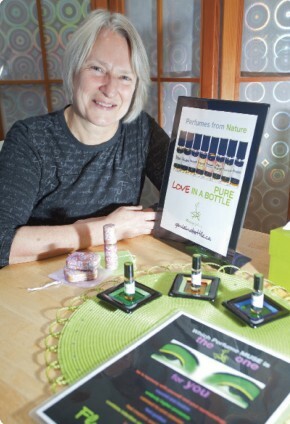 In addition to being a perfume-maker, Kalnay has a university degree in recreation administration. She is also a certified aromatherapist, reflexologist and yoga instructor. It seems fitting that I would meet with Anita Kalnay on a day when the autumn air is ripe with the aroma of changing seasons. I take a deep breath to savor the scent of ripe apples, cedar, wet leaves and other fragrances of fall, and then settle down to chat with this woman of many talents. In addition to being a perfume-maker, Kalnay has a university degree in recreation administration. She is also a certified aromatherapist, reflexologist and yoga instructor. Trained Senior Peer Counsellors like Christine (right) are here to help support local seniors like Betty. a fine meal and a sense of bonhomie. Or so we are led to believe. Unfortunately, for some it is a time of isolation and loneliness in which the glittering profusion of festivities only punctuates the sadness of those who are not part of all the glitz. And in no demographic is this isolation felt more profoundly than with some members of our seniors’ population. It’s in dealing with the wants and needs of this element of society that Comox Valley Senior Peer Counselling (CVSPC) comes into the mix and works diligently to bring some deserved Christmas cheer to the lives of such residents of our community. CVSPC was founded in 1992 as a non-profit society designed to help Valley seniors in overcoming such challenges in life as bereavement, isolation, illness, multiple losses and depression. With CVSPC, confidential services are provided by trained, compassionate volunteers who are themselves past the age of 50. The goal of these volunteers is to develop a relationship of trust with the client in which they provide non-judgmental emotional support in order to promote wellness and reduce social isolation. 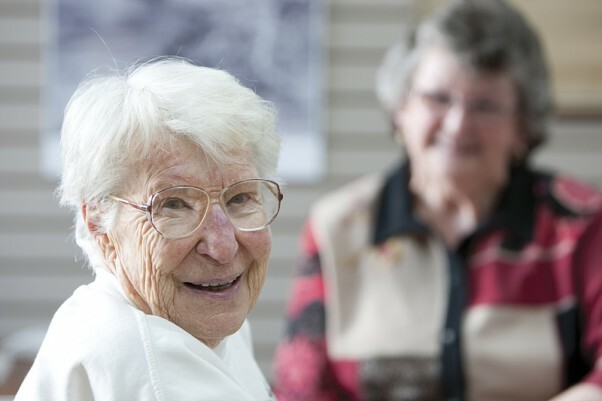 CVSPC programs include the Visitors program, which provides weekly social visits to lonely housebound seniors, Group Outings for isolated seniors unable to drive, and Caregiver Support Groups, which meet each month for support, education and social contact. One group is specifically designed for Alzheimer’s and Dementia caregivers. As well they offer respite care, where trained volunteers provide a few hours relief per week to caregivers of seniors with Alzheimer’s or dementia and individual counseling, where trained volunteers again provide guidance, support and encouragement to seniors facing challenges in their lives. This is not professional counseling, nor does it replace it. As far as gender disparities are concerned at this stage of life, Malek says that women are usually better off than men in terms of relationships in later life, and this often results in men being left in the lurch, in the case of couples, if the wife predeceases the husband. A very poignant time in this regard is the Yuletide season. And in that context the CVSPC attempts to bring some light to what should be a joyous season, but is often a huge challenge for seniors—much as it often is for other groups in society. As far as Christmas is concerned CVSPC arranges outings and various other programs with a seasonal flavor. They take members out to look at Christmas lights and to hear the children’s choir. Christmas, Malek says, is a time many people find difficult—not just seniors. But, in the case of seniors the problems can be exacerbated by age and loneliness. The problem with Christmas, she says, is that there is a huge emotional buildup leading to the day, and then when the 25th arrives, everything closes down and for those who are isolated, this only punctuates their aloneness. That said, clients of CVSPC can anticipate a special Christmas dinner, albeit not on Christmas Day, and they are booked to hear the Children’s Choir, as well as other seasonal offerings. And the volunteers are also remembered at Christmas for their tireless efforts. For them there will be a special luncheon at Crown Isle held in the Christmas season, and for which Crown Isle pays half the cost in recognition of the work that the volunteers do in the community. The volunteers in CVSPC (whom Malek cites as “wonderful”) regularly do extra for their clients at Christmastime. At the same time, they are ever-vigilant in not encouraging dependency on the part of a client. Indeed, the discouragement of dependency is a basic credo of the organization in all their dealings. While some clients continue to live fulfilling lives well into their 90s, others deteriorate at an earlier stage. In those cases they are sometimes victims of their genetics, but Malek also firmly believes that attitude plays a major role and volunteer counsellors work diligently to encourage attitude shifts. Malek believes the function of what they do is invaluable in the community and is becoming increasingly vital as the population of the community ages. She regards the organization is being an aspect of overall health care. So, the role of the peer counselor is to have the client realize that even though a change has taken place—the loss of the ability to drive and being left having to rely either on friends or public transit—life can still go on at a quality level. Adjustments must be made and the counselor must diligently move the client away from turning inward and isolating. So, outings are set up. Outings to see Christmas-themed events like the ones mentioned, or outings for shopping. Meanwhile, Malek is unstinting in her praises for the dynamic and dedicated nature of the CVSPC board through the years. It has consistently been the glue that has held it all together. In that regard Malek, as current chair, notes that she is planning on stepping down as chair, having served the organization for many years.